What Training Do I Need To Become A Welder? Welders specialise in heating and shaping metals to create products, and therefore must be skilled in welding, brazing, and soldering. Most welders either work for government agencies as general solders, inspectors, supervisors, fabricators, and engineers, and they gain these jobs based on their certifications and training. There are a number of welding programs that teach people how to weld, which will be explained by www.welding.com.au. Many employers look for welders who have a high school certificate, or have a relevant welding certificate or degree in the field from a reputable trade, vocational, or community university or college. Welders with bachelor’s degrees are more likely to secure a job straight away, however this type of formal education usually takes a few years to complete. Welding certificates are available through many engineering schools, who certify structural welders in supervisory and non-supervisory positions. These certifications are gained through tests that asses the ability to weld steel, metal, chemical refinery, pipeline, gas pipeline, and are also assessed on construction techniques. Courses are available through welding training programs, and cover topics such as blueprint reading, metallurgy, pipe layout, and welding symbology. Students are able to learn welding, soldering, brazing, bronzing, and casting. Most courses include hands-on work that includes gas tungsten arc welding, gas metal arc welding, oxyacetylene welding and cutting, and shielded metal arc welding. It is also important for students to have a basic understanding of mathematics, fabrication, and human relations, as they are important in any workplace. Internships are a great experience for welding students, as it gives them the opportunity to practice the skills they learned in the classroom. Many courses give students hands on experience in an industrial setting through an internship to let the students explore their technical welding skills, problem solving skills, and skills in equipment and technology. The primary skills needed for underwater welding are underwater cutting, rigging, fitting, drafting, non-destructive testing, inspection, and videotaping/still photography. These skills vary from company to company, and are needed for different types of projects. Before you become an underwater welder, you need to be a certified commercial diver. Take a dive physical to make sure you are able to pursue the occupation and learn about offshore commercial work available and how to use commercial diving equipment safely. Most people also become certified scuba divers, as it can help prepare you for working underwater. If you are not a certified welder, then you need to pass your test before you can attend an underwater welding school. Once you are accepted into the school, you’ll learn how to put your welding skills and commercial diving together to become an underwater welder. Most of these schools require you to have prerequisite training as a commercial diver and have a qualified welding certificate. Welding is a highly specialised field, so an adequate amount of training must be undertaken to become fully certified. 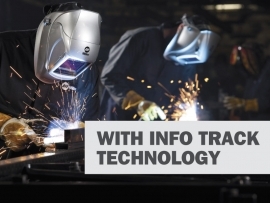 Start your welding education and training today! If somebody has an interest in welding there definitely are some great schools out there and it's a great money maker job around my area! I know lots of friends who took welders course and is now working and making good money. This is a good course to have. Welding is a good job if you are good at it. Anyone who is interested to be a welder will need this information. Wow, this is not something I thought I would learn today! Welding is a good and important job an you may inspire some folks to go get some training. Never really thought of becoming a welder. But it's a great skill to have. My oldest son will be doing welding for his profession, not all of it but he will be required to be trained. My late BIL knew how to do this job very well.